I can't remember the last time I crimped my hair. I think it was when I was in my teens...so basically a few years back (cough cough!). 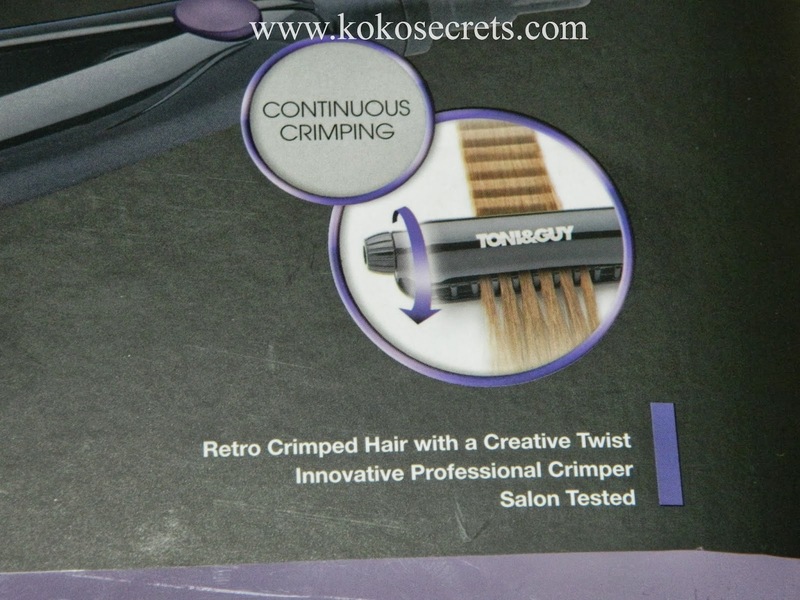 I was actually excited to try the TONI & GUY Twist & Crimp (*) to see if the style still suited me. Crimping has an 80's retro feel which I think is a great for parties. So this is definitely perfect timing for the upcoming party season. I think it gives an edgy look but you can also pull of a sophisticated look which I don't think a number of people realise before writing it off. 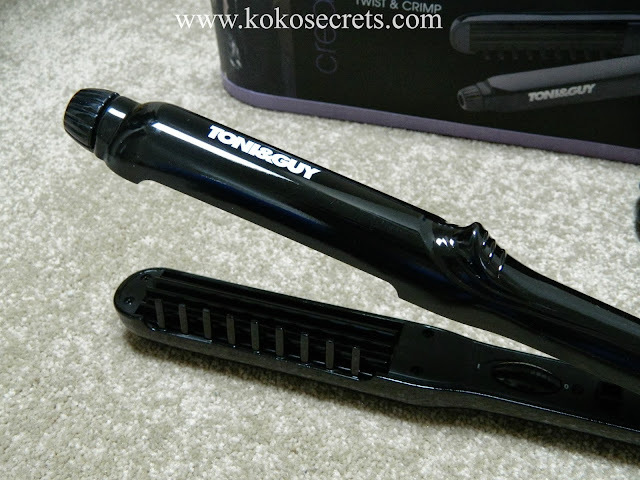 The TONI & GUY Twist & Crimp gives your hair added volume and texture. 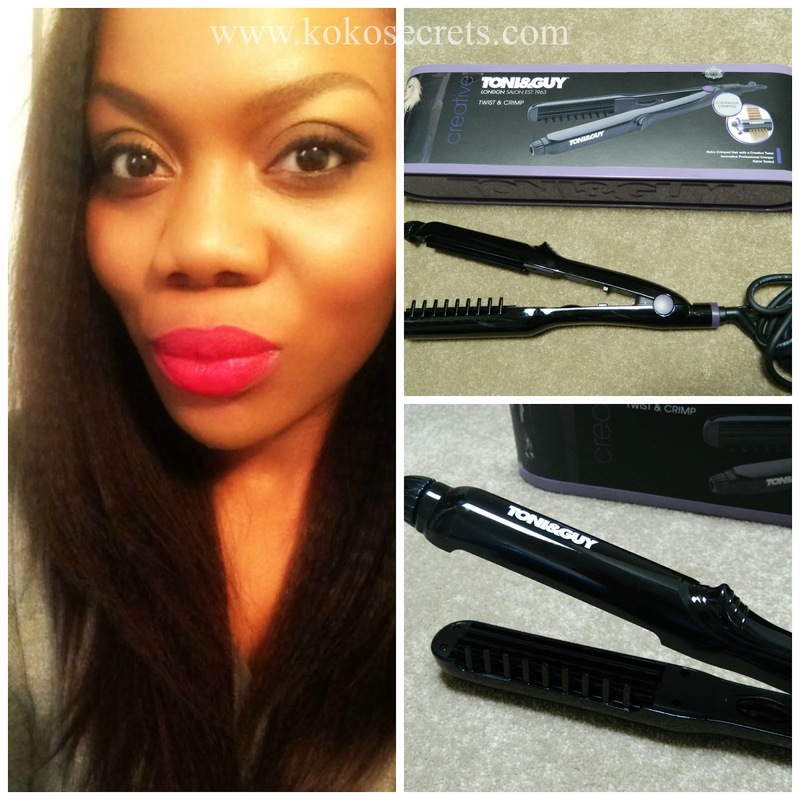 So you can rock "big hair" without having to backcomb your hair causing damage. What I enjoy about using it is that you can create a number of styles. As you will see in the picture below, I didn't actually crimp all of my hair, just various sections as I didn't want it too big. But you can't tell that I didn't crimp all of my hair. I went out to a party recently and only crimped the ends of my hair. So you can definitely play around with it. The TONI & GUY Twist & Crimp reaches a temperature of 230C and it styles the hair really quickly with the Continuous Crimp design. It did take me a few attempts to master it, but it is actually quite straightforward. I crimped small sections of my hair at a time as I found that if it was a larger section, it didn't crimp well. I didn't use any hold spray and it last for a number of hours. I did test it out in humid weather and it did unfortunately drop sooner than I expected. I do think it would have lasted longer if I did use hold spray. The TONI & GUY Twist & Crimp retails at £50 and is available in Boots & Argos in the UK. 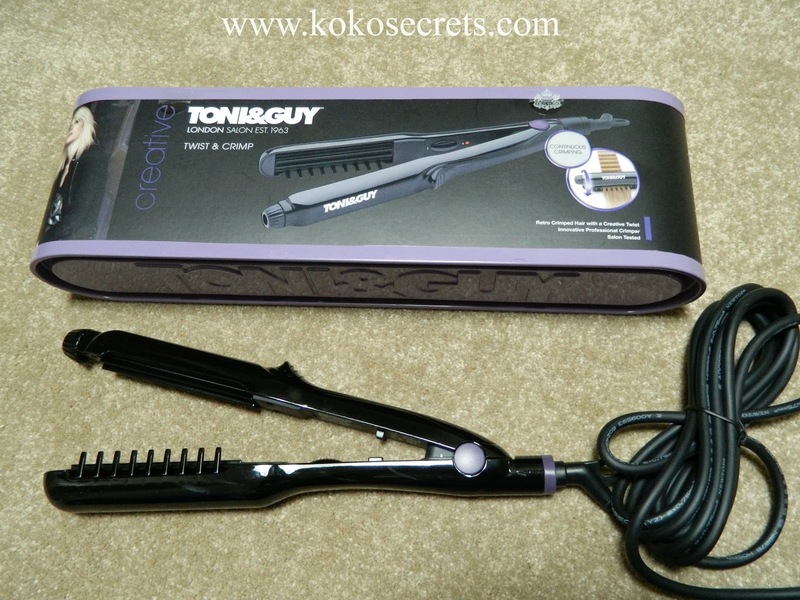 A side note is that the tool has a 3m salon cord (whoop!). Don't you just hate it when the cords are so short that you can't get in front of your favourite mirror?!! What do you think of it? 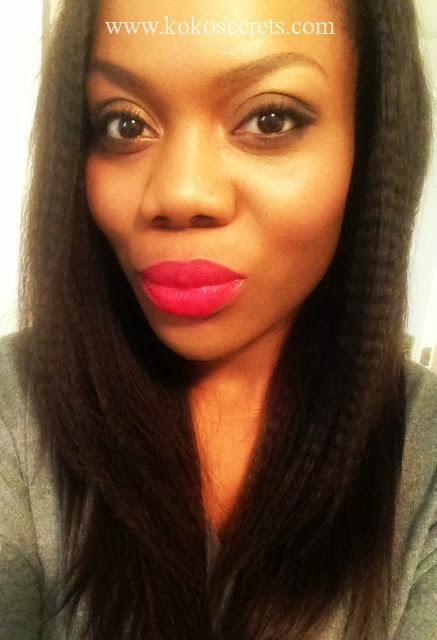 Are you a fan of crimped hair? Don't forget to follow & subscribe!